(CNN) - A Seattle woman rinsed her sinuses with tap water. A year later, she died of a brain-eating amoeba. Her case is reported this week in the International Journal of Infectious Diseases. The 69-year-old, whose name was not given, had a lingering sinus infection. For a month, she tried to get rid of it using a neti pot with tap water instead of using sterile water, as is recommended. Neti pots are used to pour saline into one nostril and out of the other to irrigate the sinuses, usually to fight allergies or infections. According to the doctors who treated the woman, the non-sterile water that she used it thought to have contained Balamuthia mandrillaris, ﻿an amoeba that over the course of weeks to months can cause a very rare and almost always fatal infection in the brain. Once in her body, the amoeba slowly went about its deadly work. First, she developed a raised, red sore on the bridge of her nose. Doctors thought it was a rash and prescribed an antibiotic ointment, but that provided no relief. Over the course of a year, dermatologists hunted for a diagnosis. Then, the left side of the woman's body started shaking. She'd experienced a seizure that weakened her left arm. A CT scan showed an abnormal lesion in her brain that indicated she might have a tumor, so doctors sent a sample of tissue for testing. 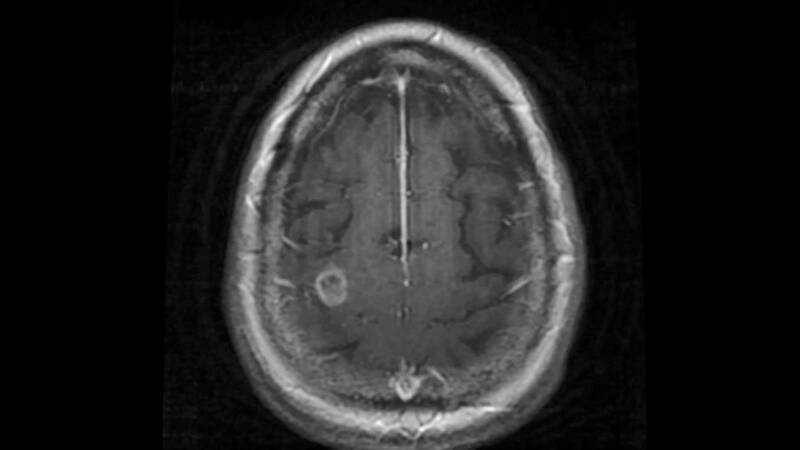 Over the next several days, additional scans revealed that whatever was happening in her brain was getting worse. The mass was growing, and new lesions were starting to show up. Finally, a neurosurgeon at Swedish Medical Center, where the woman was being treated, opened her skull to examine her brain and found that it was infected with amoebae. The US Centers for Disease Control and Prevention rushed the anti-amoeba drug miltefosine to Seattle to try to save the woman's life, but she fell into a coma and died. According to the CDC, most cases of Balamuthia mandrillaris aren't diagnosed until immediately before death or after death, so doctors don't have a lot of experience treating the amoeba and know little about how a person becomes infected. The amoeba was discovered in 1986. Since 1993, the CDC says, there have been at least 70 cases in the United States. As in the Seattle woman's case, the infections are "almost uniformly fatal," with a death rate of more than 89%, according to the doctors who treated her and the CDC. The amoeba is similar to Naegleria fowleri, which has been the culprit in several high-profile cases. In 2011, Louisiana health officials warned residents not to use nonsterilized tap water in neti pots after the deaths of two people who were exposed to Naegleria fowleri while flushing their nasal passages. An official urged users to fill the pots only with distilled, sterile or previously boiled water, and to rinse and dry them after each use. "Improper nasal irrigation has been reported as a method of infection for the comparably insidious amoeba," the doctors say in the research paper about the Seattle woman. "This precedent led us to suspect the same route of entry for the ... amoeba in our case." The woman's doctors say they weren't able to definitely link the infection to her neti pot, as the water supply to her home was not tested for the amoeba. They hope her case will let other doctors know to consider an amoeba infection if a patient gets a sore or rash on the nose after rinsing their sinuses. Kristen Maki, a spokeswoman for the Washington State Department of Health, said in an email that "Large municipal water supplies ... have robust source water protection programs" and treatment programs, and she noted that "Well protected groundwater supplies are logically expected to be free of any such large amoeba" such as Balamuthia.